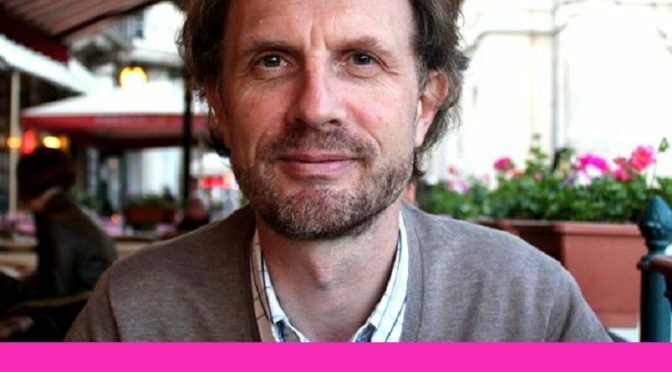 [ndlr] Entretien avec le sociologue Paul Jobin de retour de mission du Viêt-Nam sur l’après Formosa. Tin xấu là nhiều ngư dân đánh được ‘rất ít cá so với trước đây’ khiến đời sống của nhiều ngư dân và gia đình của họ còn rất khó khăn, nhưng tin tốt là ở một số nơi ‘một lượng cá nhỏ đã trở lại biển’, một nhà nghiên cứu độc lập người Pháp từ Viện Xã hội học, Academia Sinica, Đài Loan, nói với BBC Tiếng Việt từ Paris về kết quả khảo sát về hậu thảm họa môi trường do Công ty TNHH Gang thép Hưng nghiệp Formosa Hà Tĩnh gây ra ở miền Trung Việt Nam sau hai năm. Lire la suite : BBC Vietnamese, 08/04/2018. [ndlr] Signalé par VN Infos à l’occasion du 50e Prix du Reporter de Rue (2 septembre 2016). A la veille de la « fête nationale » du 2 septembre, des milliers de pêcheurs ont manifesté contre la Compagnie FORMOSA qui a pollué 250km de mer du Centre Vietnam et qui a réduit des millions de pêcheurs au chômage. Depuis quelques semaines, plusieurs centaines de tonnes de poissons morts ont envahi les plages et les fermes piscicoles du centre du pays. Face aux éclaircissements qui tardent à venir du côté des autorités, l’inquiétude des pêcheurs et de leurs familles est grandissante. L’aciérie taïwanaise Formosa est soupçonnée d’être à l’origine de cette pollution industrielle d’envergure. Dans ce pays où l’information est contrôlée et les enquêtes indépendantes difficiles à mener les net-citoyens postent leurs analyses sur les blogs et autres médias à l’extérieur du pays. Sur Facebook, Nguyen Phong Anh questionne avec sérieux l’origine de la pollution et sa circulation probable à travers les courants marins (notons sa recommandation énergique des dernières secondes). Nguyen Anh Tuan de son côté propose une interview en ligne d’un pêcheur (accès en connexion). 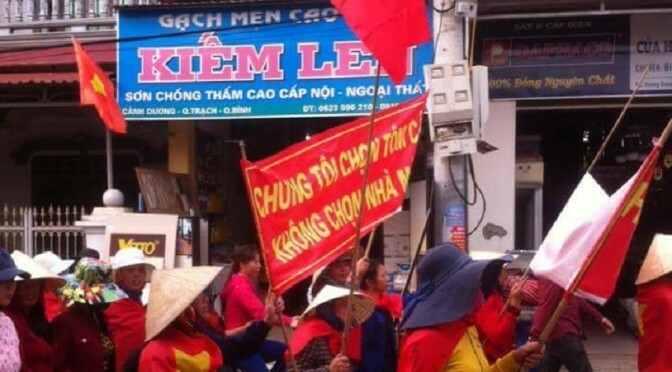 Plusieurs vidéos circulent sur la toile sur une manifestation organisée le 28 avril dans la province de Quang Binh. Un appel général à manifester pour la protection de l’environnement le 1er mai 2016 a été lancé par des associations de la société civile. 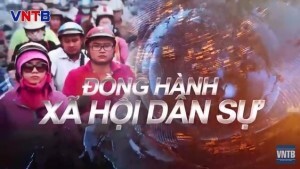 Ci-dessous, la chaîne « Thi Xa Ky Anh Channel » (Municipalité de Ky Anh dans la province de Ha Tinh) sur YouTube a mis en ligne les vidéos de la manifestation des familles du village de pêcheurs à Canh Duong du 28 avril. Des images de cette manifestation ont été postées sur le site des Rédemptoristes (http://tinhdongchuacuuthe.com). AFP, Vietnam investigates mass fish deaths, The Guardian, 21/04/2016. AFP, Vietnam: après les poissons, des tonnes de palourdes retrouvées mortes, TV5 Monde, 28/04/2016. David Brown, Huge Fish Kill Tests Vietnam’s New Regime, Asia Sentinel, 28/04/2016. TTO, Taiwan’s Formosa under fire over Vietnam mass fish deaths, Tuoi Tre News, 26/04/2016. 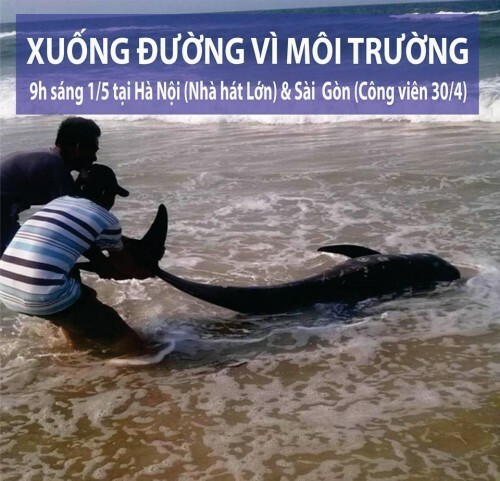 TTO, In central Vietnam, deep sea fish found in shallow water amid mass death fears, Tuoi Tre News, 28/04/2016. 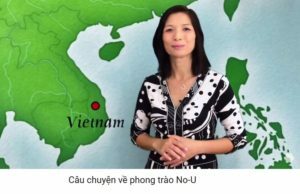 Kêu gọi ‘xuống đường vì môi trường’, BBC Vietnamese, 28/04/2016. VNA/CVN, Mort massive de poissons : le PM demande d’assister les pêcheurs, Le Courrier du Viêt-Nam, 26/04/2016. VNA/CVN, Hécatombe de poissons : Formosa s’excuse, l’enquête continue, Le Courrier du Viêt-Nam, 26/04/2016. VNA, La mort en série de poissons dans le Centre défie les scientifiques, Vietnam +, 28/04/2016. Image « à la une » : Arrêt sur vidéo. Manifestation de familles de pêcheurs à Canh Duong. 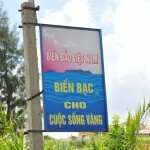 La banderole dit « Nous choisissons les produits de la mer, pas l’usine » (Chúng tôi chọn tôm cá, không chọn nhà máy). We cannot understand the current situation if we restrict ourselves to a few recent events without taking the risk of viewing current confrontations as an expression of territorial ‘disputes’ where there would be little to choose between the parties in the confusion of responsibility and legitimacy. Pontius Pilate-like neutrality of this kind would exclude any possibility of a fair settlement without which there could be no actual or enduring peace. A chronological study of the key historical moments is absolutely essential, if not sufficient, to identify the sources of the conflict and their current expression in order to weigh them up more effectively to reach a settlement. Throughout this talk I will not be using the term ‘the South China Sea’, because this term invented by colonial cartographers, from the 1960s onwards, and used in the majority of atlases, has, whether innocently or not, negative connotations in terms of sovereignty. Indeed, as demonstrated by going from ‘South China Sea’ to ‘South Chinese Sea’, a simple change in wording dispossesses bordering countries of this vital maritime area in favour of the Empire. This Mediterranean of South East Asia is not historically or legally, or in ancestral traditions, an exclusively Chinese lake. It is the common property of the countries which border it and the international community which increasingly uses it. 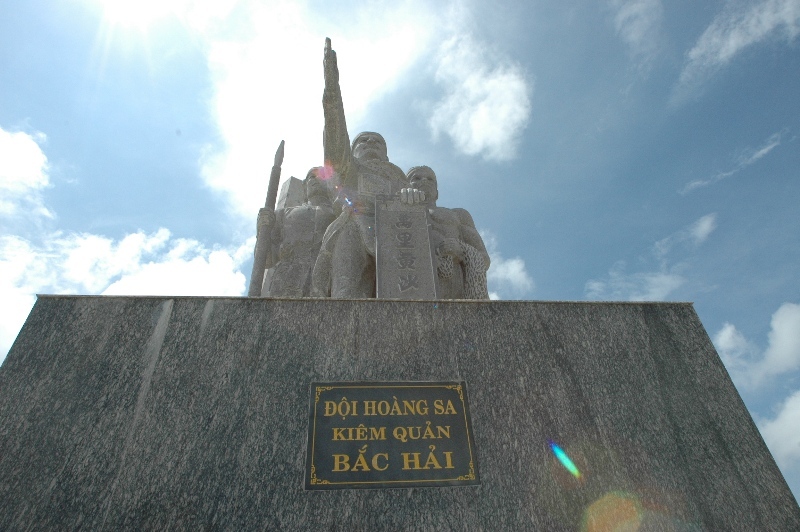 1867→ Thủ Đức awards the title of ‘Hero’ to the sailors sent to Hoàng Sa and who perished during their voyage. These coherent State acts by the Kingdom of An Nam fully justify the right to sovereignty. 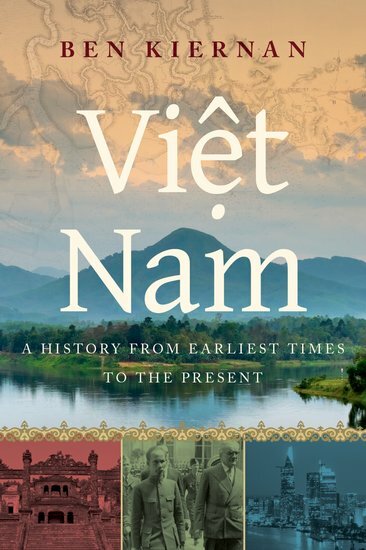 1884: The Treaty of Huế (article 15): “France undertakes to guarantee henceforth the integrity of the realms of His Majesty the King of An Nam ». The Paracel archipelago is one of these realms. 1884: Chinese map of the ‘unified empire’ whose southern border extends only as far as Hai Nan. It does not therefore include the Paracels. 1885: The Franco-Chinese Treaty of Tientsin: China withdraws any claim to sovereignty over Vietnam and therefore the Paracels. 1906: According to the » Zhong guó Dìhixué jiao ke shu « , the official school geography textbook, the southernmost point in the country is 18° 13′ latitude north i.e. the south of Hai Nan Island. The Paracels are therefore not part of the Empire. 1909: 24-hour landing of Admiral Li Zhun on Phú Lâm (Pattle) Island under the orders of the Governor of Guangdong and Guangxi. 1921: The Provincial Governor of Canton announces that he wishes to annex the archipelago and annex it to Hainan. 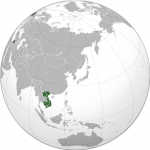 1925: The General Governor of Indochina reaffirms that the archipelagos are An nam lands under French protectorate. 1931-1932: China allows private individuals to collect guano on the archipelago. France objects. 1937- 1939: Detachment of colonial guards on Pattle to build a lighthouse, a weather station, a radio station, and erect a memorial: » The French Republic – Kingdom of Annam – Archipelago of the Paracel Islands -1816- Pattle Island 1938″. 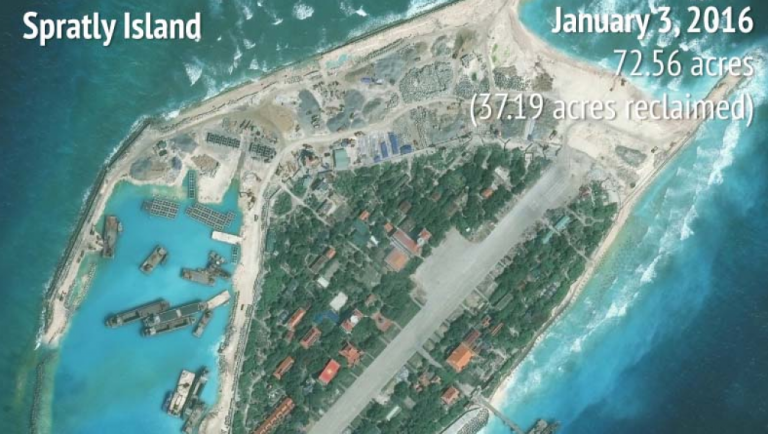 Chinese ambitions become burgeoning claims to sovereignty. 1945: Potsdam Conference – Nationalist China is given the mission of disarming Japan north of the 16th parallel. 1947: Chiang Kaï Chek’s troops land on the eastern Paracel islands. France sends a military detachment which establishes a garrison on Pattle. France suggests international arbitration, which China refuses. 1947: appearance of the first U-shape line with 11 dashes of the S-E Asia Sea. 1950: China evacuates its garrison on Woody Island. 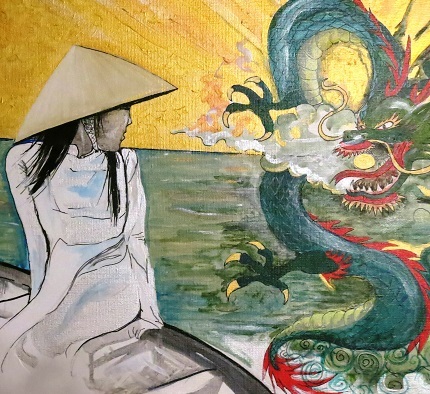 Control of the archipelagos is officially handed over to Bảo Đại. 1951: San Francisco conference. The Paracels and Spratleys are not attributed to any country. The Soviet Union suggests Mao’s China: rejected with a crushing majority. Bảo Đại’s Foreign Minister reaffirms Vietnamese sovereignty. France is silent on the matter. 1954: The Geneva Accords: all the islands are now administered by the SRV (south of the 17th parallel). No Chinese protests during the negotiations. The violence of the « fait accompli ». 1956: French retreat and relief by SRV troops on Pattle and the Crescent Group. PRC troops land discretely on the eastern side ( the Amphitrite Group ). This time they will stay. 1958: Diplomatic memo from Phạm Văn Đồng who ‘notes and approves’ a PRC declaration which sets the boundaries of China’s territorial waters at 12 nautical miles. Peking uses this to support its claims to sovereignty over the archipelagos. 1974: The Chinese navy takes the entire archipelago by force. 64 Vietnamese die. The nearby US Seventh Fleet, do not come to the rescue when asked. The Republic of Vietnam’s observer at the U.N asks for the situation to be considered by the Security Council. Without success. No support is forthcoming from the USA or France. China secures the Hoàng Sa base. Legitimisation. New shows of strength. 10 December 1982: Montego Bay Convention on the Law of the Sea signed and ratified by China and Vietnam will come into force in 1994: « art. 89: no state may validly purport to subject any part of the high seas to its sovereignty’. March 1988: violent battle on Gac Ma (Johnson South Reef). 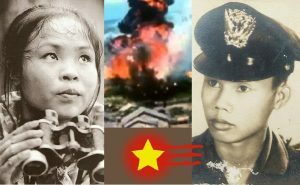 74 vietnamese killed. 1992: Peking grants the US company Crestone Energy a concession for petrol exploration in Vietnam’s EEZ. 1989 to 1995 occupation of additional reefs and small islands including that of Panganaban reef. ( Mischief reef) (The Philippines’ EEZ). 2007: Chinese law establishes the town of “Tam Sa” attached to Hainan and based in Phú Lâm (Paracels). May: – diplomatic memo to the Secretary General of the UN, in reaction to the submission on Vietnam’s sovereignty and the joint submission by this country and Malyasia, which deemed these submissions as ‘illegal and invalid’. China reaffirms its sovereignty based on its famous ‘9-dotted line’, without any historic or legal basis, covering 80% of the maritime zone and all the archipelagos. 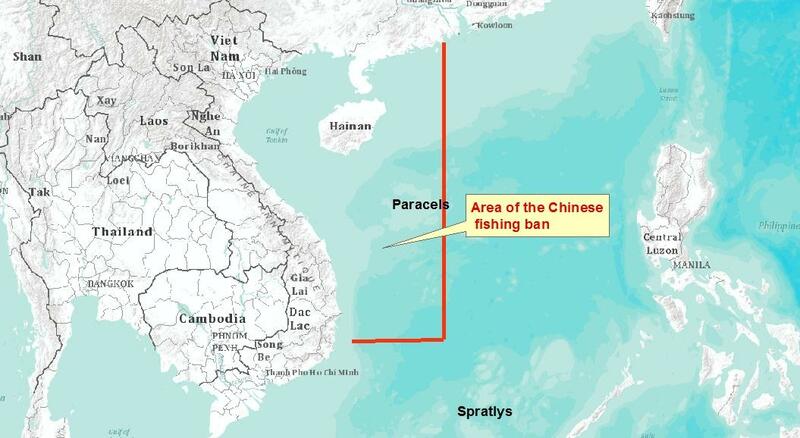 From 16 May to 1 August: unilateral ban on fishing in the zone claimed by Peking; – setting up of a special department attached to Foreign Affairs to ‘manage questions related to maritime sovereignty’. October: ASEAN summit : Refusal to consider differences over the SE Asia Sea in multi-party talks. December: ‘To Develop tourism on a large scale’ in the U-shaped zone, the Chinese National Assembly adopts the law to protect and develop the islands. September: aggression against the ‘Viking II’ from the same company in Vietnam’s EEZ. April: ASEAN summit – China pressures Cambodia, then President, to prevent a joint communiqué concerning a declaration of conduct with legal force (DOC) in the SE Asia Sea. April-May: Scarborough shoal (Spratleys) : 3-week confrontation with the Philippines within Manila’s EEZ. July: China elects the ‘President of Tam Sa’. Installation of a 3G satellite communications centre on Phú Lâm. 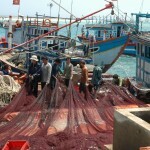 August: 23,000 Chinese fishing boats leave Quang Dong and Hainan to fish in the SE Asia Sea – PLA division-sized military unit established in Phú Lâm for the ‘defence zone of “Tam Sa” as an ‘instrument for governing the sea’. June: publication of the book: ‘The city of Tam Sa, China: its history, resources, and role in national defence’. January: Decree from the Hainan province requiring authorisation from any ‘foreign’ fishing boat active in the ‘U-shaped line’ under penalty of large fines and sanctions which could result in their boat being confiscated and having to appear before a Chinese court. May: Installation of a huge oil platform (HD981) inside Vietnam’s EEZ, 119 nautical miles from the Lý Sơn baseline. 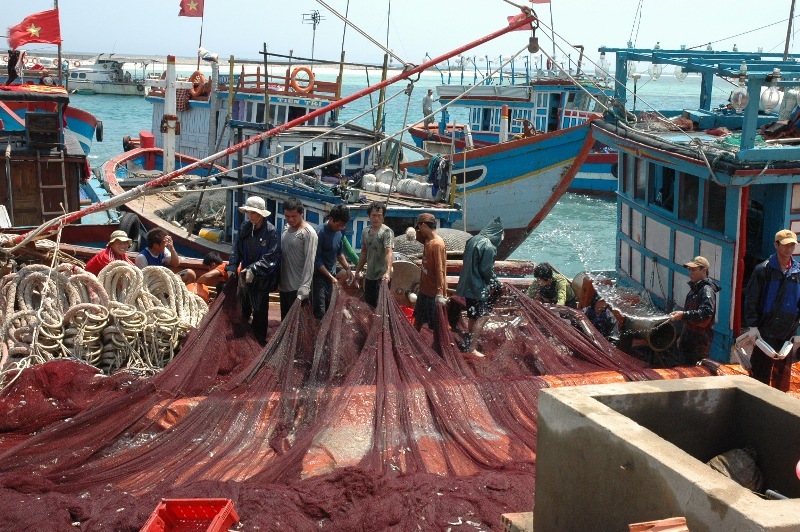 The goal – to turn Vietnam’s EEZ into a disputed zone. 1°) In the expansionist process, ‘going out’ towards the south, Peking began with the closest point: the Paracels archipelago. 2°) From this secure base, Peking begins to take steps towards establishing new bases inside the EEZ of bordering nations which China wants to turn into ‘disputed zones’ with a ‘battering ram’. 3°) China has always taken advantage of the ‘emptiness’ following the departure of other powers (1956, 1974, 1988 and currently) by following a strategy of threats, military violence and fait accompli. 5°) A diplomatic strategy of division, refusal to participate in multi-party negotiations, refusal of international arbitration. A strategy supported by a policy of economic incentives and reprisals. Silence from France at the San Francisco Conference in 1951 and after the Chinese invasion of the Paracels in 1974. The Nixon-Kissinger US administration: inaction when the Chinese attacked in 1974. Silence from the nearby 7th fleet. 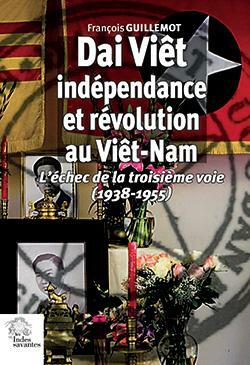 « The USA’s position is not to support Vietnam’s claims to sovereignty over the islands. » Henry Kissinger. (Foreign relations of the United states 1969-1976; Volume XVIII, China 197361976; Document 66). Neutrality is a fight for the law and justice. This was the lesson of Munich. Around 2000 fishermen victims around and off the coast of the Hoàng Sa archipelago. Approximate total Attacks: several hundred. Fishermen who have been rammed and just saved: 120. Sunk or confiscated fishing boats: approx. 30. 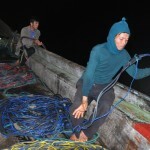 Fishermen kidnapped for a ransom in Phú Lâm (for between a few days and a month and a half): approx. 500. Ransoms: around $5000 – 8000 per fishing boat: Amount unknown. 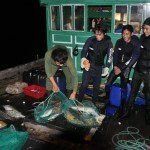 Fishing gear systematically destroyed or confiscated: Amount unknown. Fish catches systematically confiscated: Amount unknown. Don’t Human Rights apply at sea? Mrs Nguyễn Thị Hào (Bình Châu village, Quảng Ngãi). Mr Tiêu Viết Là ( Bình Châu ):“Three of them hit me. I’ve been hurt since and can’t go out to sea. My fishing boat has been confiscated and I have to pay a ransom. I’ve lost everything”. 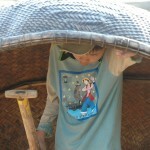 Mr Nguyễn Đặc ( Lý Sơn):“Having just what you need to eat or enjoy prosperity depends on Hoàng Sa ». In April 2014 the Maritime Affairs Tribunal in Shanghai ordered the confiscation of a Japanese shipment to compensate for a war debt dating back to 1936: thirty million dollars for two confiscated boats. The Japanese paid. How many tens of billions of dollars does China owe Vietnam for forcibly borrowing the Paracels for 40 years, for the lack of economic gains that this represents, for the families of Vietnamese soldiers killed during the annexation of the archipelago, for the thousands of mistreated fishermen who were banned from fishing for decades, for the dozens of fishermen killed, for the dozens of fishing boats sunk and confiscated, and for the hundreds of ransoms paid out? 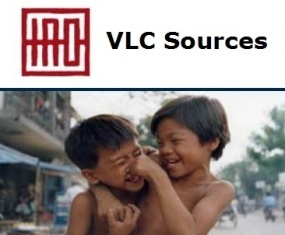 If the damages of this monumental hold-up and its consequences were only measured in terms of money, then the compensation would at least boost Vietnam’s economy for years and get thousands of families, who are still victims of these crimes, out of poverty. 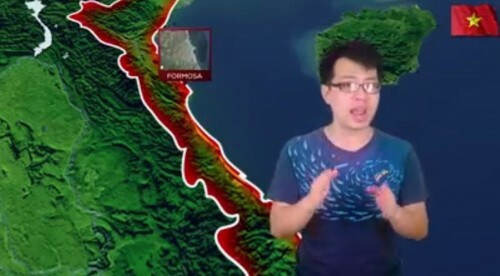 For the Chinese leaders, the only way to get out of this tragedy positively is the opposite of the approach they have chosen to impose: all acts of aggression and incursion need to stop immediately in the maritime and island zone under Vietnamese sovereignty and measures taken to give to Caesar what belongs to Caesar i.e. 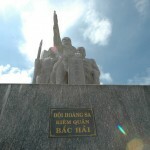 return Hoàng Sa to Vietnam. Any other approach can only be short-lived and lead China into a painful impasse and peace with it. 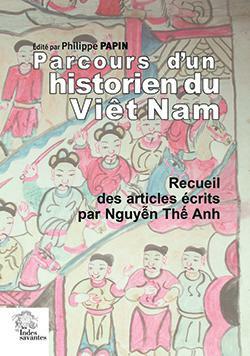 De 2002 à 2014, environ 2000 pêcheurs du Centre Vietnam ont été victimes des agressions chinoises autour et au large de l’archipel Hoàng Sa (Paracels). Certains y ont laissé la vie, d’autres tous leurs biens, leur santé, leur avenir et peut-être celui de leurs enfants. Voici des dates et faits qui parlent d’eux-mêmes, avec quelques jalons qui marquent l’environnement politique au moment des faits. 2002 : 1 chalutier capturé et 16 hommes ; amende 80000 yuans. 2003 : 5 chalutiers capturés et 57 hommes ; confiscation pêche, équipements ; amendes selon : de 10000 dollars, 70000 yuans, 50000 yuans. 2004 : 6 chalutiers capturés et 76 hommes ; confiscation pêche et équipements ; amendes 30 millions de VND. 08/01/: Chalutier vietnamien agressé par les gardes-pêche chinois à l’ouest de la zone de démarcation du golfe du Tonkin (côté commun). Huit pêcheurs tués, deux blessés et 4 arrêtés. Du 20/01/ au 04/03/2005 : 14 chalutiers capturés et 162 pêcheurs ; confisqué pêche et équipements. Montant des amendes amende de 20 millions VND à 150 Millions de VND (1066 €). 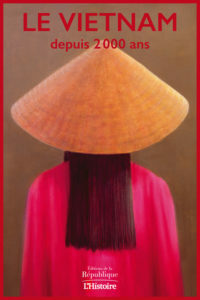 Du 22/04 au 14/07/2005 : amende de 70000 yuans (8157 €). Détention de M.Lê Văn Phước (14/07) et M. Mai Phụng Lưu (même date). 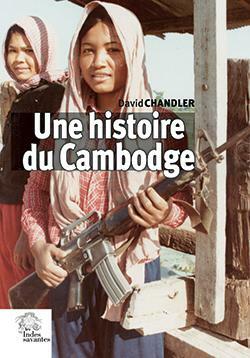 2006 : 11 chalutiers capturés et 133 hommes ; confiscation pêche, équipements ; amendes de 10 à 150 millions VND. Les « contrevenants » sont pris en photo et filmés. 1 chalutier coulé (M.Dương Thọ, village An Hải). Son propriétaire est détenu le 23/10. 2007 : 3 chalutiers capturés et 110 hommes ; confiscation pêche, matériel ; amende de 70 à 250 Millions de VND. 1 chalutier confisqué : M. Mai Phụng Lưu, village An Hải, à nouveau emprisonné le 21/01. 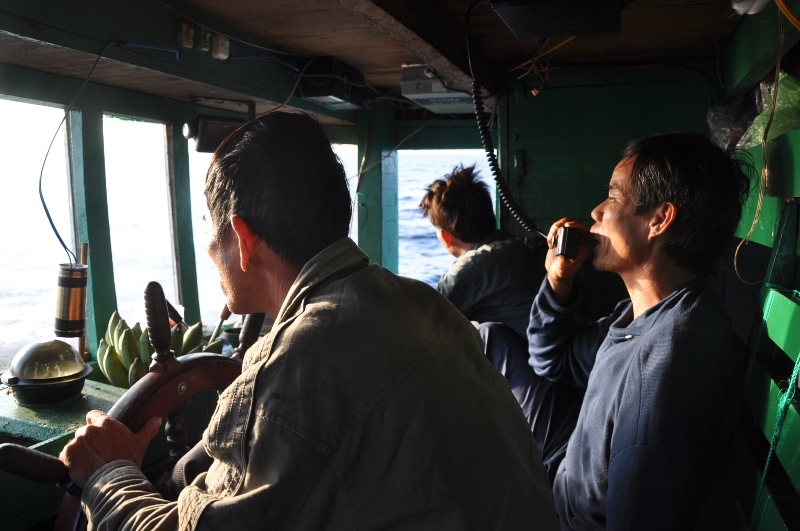 2008 : année pauvre en information d’agressions de la part de la Chine envers les pêcheurs vietnamiens. Mais Pékin a une façade de paix à préserver pour la réussite des J.O. 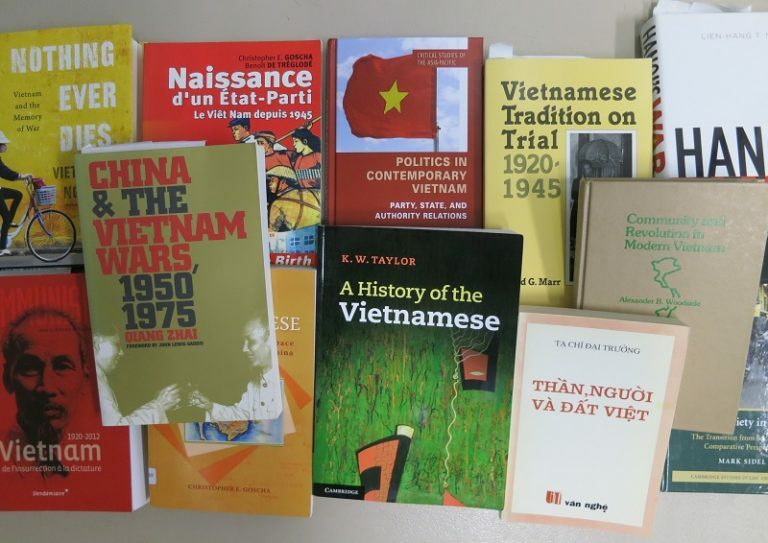 et les dirigeants vietnamiens jouent le jeu avec zèle en verrouillant soigneusement les informations. 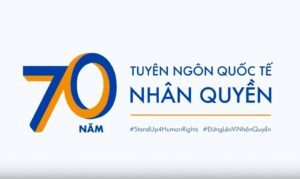 29/04 et 30/04 2008 : anniversaire de l’indépendance du Vietnam réunifié : accueil de la flamme olympique chinoise à Hồ Chí Minh Ville et à Hà Nội et arrestation de manifestants contre les agressions de Pékin sur les archipels de Hoàng Sa et Trường Sa. 19/05 /2008 : Le Chalutier de M. Nguyễn Thanh Thu, village de Bình Châu a été éperonné et coulé au large de Hoàng Sa. Les 24 hommes d’équipage ont pu être sauvés par un chalutier voisin. 07/2008 : la Chine reconnaît officiellement qu’elle a exigé de la compagnie américaine Exxon Mobil de cesser l’exploitation du pétrole en coopération avec le Vietnam. L’absence de réaction vigoureuse du côté vietnamien a poussé Exxon à obtempérer. 15/07/2008 : Le chalutier de M. Đặng Nam, village de Nghĩa An (Phú Yên) est éperonné et coulé de nuit. Sauvés par un chalutier de passage. 7 des neuf pêcheurs gravement blessés. 15/01/2009 : éperonnage nocturne d’un chalutier originaire de Phú Yên : 9 disparus. 08/03/2009 : Cinq bâtiments chinois font barrage au navire américain non armé de « surveillance des mers », l’USNS Impeccable, dans les eaux internationales à 75 miles nautiques au sud de Hai Nan. La Chine demande aux Américains de cesser ces « actions de surveillance illégales » dans sa zone économique exclusive. 19/05/2009 : éperonnage chalutier de Bình Châu : coulé. 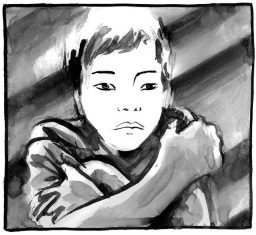 26 hommes sauvés par chalutier ami. 16/06/2009 : capture dans les eaux de Hoàng Sa de 12 pêcheurs de An Hải ; libérés 2 mois après. (Pêcheurs Nguyễn Chí Thành et Dương Văn Tân perdu 1 milliard de dongs (35539 €). 07/07/2009 : 3 chalutiers capturés à Hoàng Sa avec 37 hommes. 2 chalutiers confisqués ; amende 210000 yuans. 25 hommes sur les 37 sont renvoyés sur un seul bateau. 15/07/2009 : 1 chalutier de Quảng Ngãi éperonné et coulé à Hoàng Sa avec 9 hommes à bord. 01/08/2009 : 13 pêcheurs capturés et libérés10 jours plus tard contre rançon. 28/09/2009 : 16 chalutiers surpris par typhon N°9 avec 200 hommes (île de Trụ Cầu, archipel Hoàng Sa). Tirs chinois leur interdisant l’accès au port pendant la tempête ; capturés ensuite, pillés, tabassés. 12/12/2009 : 3 chalutiers capturés à Hoàng Sa. 2 chalutiers confisqués. 43 hommes renvoyés sur un seul bateau. 05/02/2010 : Le commandement des gardes-frontière de Đà Nẵng (Centre Vietnam) déclare la présence de deux flottilles de chalutiers chinois avec au total 130 embarcations en action de pêche à 45 miles nautiques des côtes des provinces de Quảng Tri , Thưa Thiên Huế, jusqu’à Đà Nẵng. La police des mers vietnamienne déclare les avoir repoussé. 03/03 /2010 : 7 pêcheurs province de Quảng Bình disparus en mer. 09/03/2010 : Chalutier QNg-96516 de M. Dương Thanh Phú, originaire de Ly Son a été éperonné et coulé en action de pêche à Hoàng Sa. Ses 17 membres d’équipage ont été secourus in extremis par un chalutier qui pêchait dans les parages. 30/04/2010 : jour anniversaire de l’indépendance du Viet Nam réunifié, l’agence Chine Nouvelle annonce la signature d’un contrat de coopération pour l’exploitation du pétrole entre la compagnie chinoise COSL et la société américaine Devon Energy. 12/06 /2010 : le chalutier QNg- 96193 de M.Võ Xuân Tiến, du village An Hải, île de Lý Sơn (Quảng Ngãi) a été éperonné et coulé dans la nuit pendant le sommeil de ses 18 membres d’équipage à 30 miles nautiques de la ville de Qui Nhơn. Du 10 au 22/06/2010 : La Chine ayant déclaré unilatéralement l’interdiction de pêcher, la marine de guerre chinoise chasse 31 chalutiers vietnamiens en action de pêche dans l’espace maritime sous souveraineté vietnamienne dans le golfe du Tonkin. 04/05/2010: Dans les parages de Hoàng Sa, la marine de guerre chinoise prend en chasse 3 chalutiers vietnamiens (2 originaires de Bình Châu et 1 de Lý Sơn). Un chalutier a été capturé avec 11 pêcheurs. Ils ont été détenus à Hoàng Sa dans l’île de Phú Lâm et libérés contre rançon de 70000 yuans. 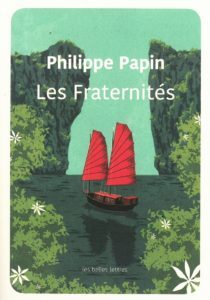 Du 05/05 au 16/05/2010 : Selon le rapport des garde-frontière de Quảng Ngãi et plusieurs témoignages de pêcheurs, des flottilles de dizaines de chalutiers chinois sont signalées à seulement 40 miles nautiques de l’île vietnamienne de Lý Sơn. 15/05/2010 : libération des 11 pêcheurs détenus et libérés 10 jours après contre 8000 euros. Instruments de navigation, vivres, prises de pêche, centaines de litres de carburant ont été confisqués. 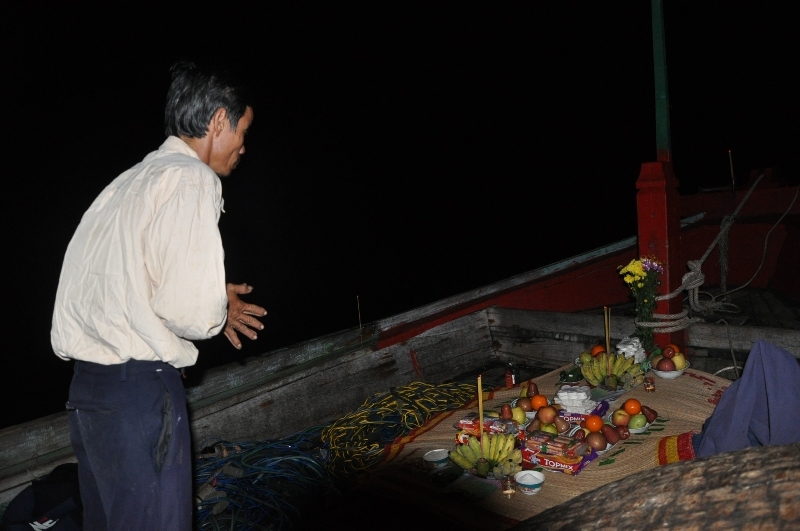 12/06/2010 : Un chalutier de Lý Sơn est éperonné et coulé en pleine nuit à 40 miles de la côte du Centre Vietnam. 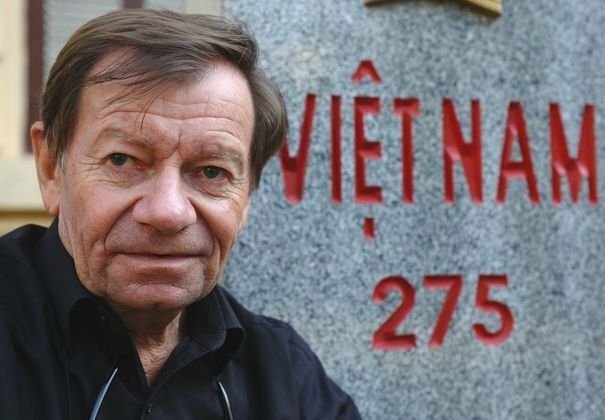 Les 18 hommes de l’équipage de M. Võ Xuân Tiền sont sauvés in extremis après 7 heures de dérive, par un chalutier ami. 03/12/2010 : La frégate lance–missiles Xiangfan de la marine chinoise arrive à Đà Nẵng pour une visite amicale après sa participation à une patrouille commune sino-vietnamienne. 12/01/2011 ; 6 pêcheurs de l’équipage Le Minh Tan « disparaissent » corps et biens par temps calme dans les parages de l’îlot Bombay, archipel d’Hoàng Sa, occupé par les Chinois, « triangle des Bermudes » des pêcheurs vietnamiens. 03/03/2011 : La marine philippine appuyée par 2 avions de combat fait face aux patrouilleurs chinois escortant un navire sondeur dans la zone de Reed Bank, à 200 kms de l’île de Palawan, près du point d’exploitation pétrolière Malampaya. Les bâtiments chinois quittent la zone. 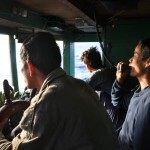 26/05/2011 : Trois navires chinois sectionnent les câbles de sondage sismique du navire de prospection vietnamien Bình Minh 02 à 120 miles marins du Cap de Đại Lanh (province de Phú Yên), en pleine Zone économique exclusive du Vietnam et à 340 miles marins des côtes chinoises de Hai Nan. 31/05/2011 : Tirs de la marine de guerre chinoise sur 4 chalutiers de la ville de Tuy Hòa (province de Phú Yên) en action de pêche sur le plateau continental du Vietnam. 05/06/2011 : Manifestation populaire de rue à Ho Chi Minh-ville (HCMV) et Hà Nội contre les agressions chinoises. C’est la première d’une série de 11 qui se renouvellent de façon hebdomadaire jusqu’au 21/08/2011. Arrestations musclées et emprisonnements. 09/06/2011 : Un « navire de pêche » chinois escorté par deux navires de surveillance des pêches chinois percute volontairement et sectionne les câbles d’exploration du navire Viking II de la compagnie Petro Vietnam à l’intérieur de la zone économique exclusive du Vietnam. 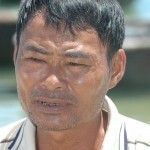 14/07/2011 : équipage Lê Văn Cương, 13 hommes, attaqués par « bateau blanc à coque d’acier » (patrouilleur marine de guerre chinoise) dans les parages de Đá Loi (Hoàng Sa) occupé par les Chinois. Destruction cabine, instruments de navigation, eau potable et jerricans diesel, instruments de pêche, confiscation de la pêche. 17/07/2011 : manifestations réprimées à Ha Noi et HCM-ville. Arrestations, interrogatoires, violences policières. 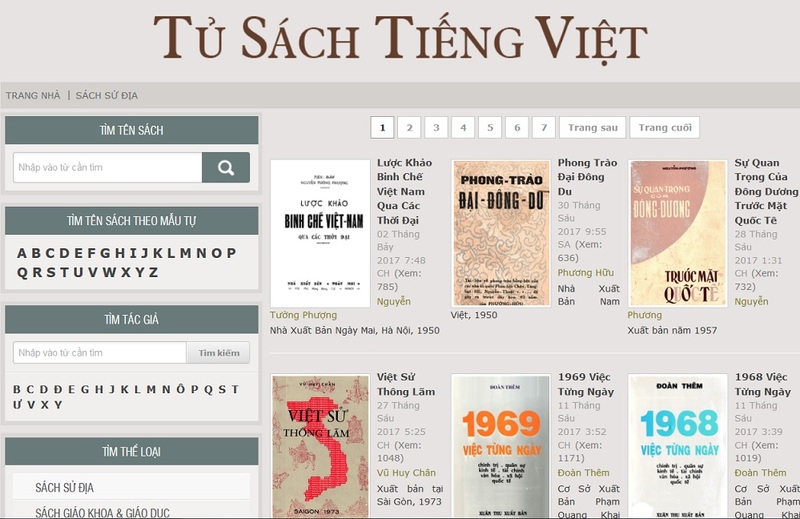 Nombreuses lettres ouvertes adressées aux autorités vietnamiennes directement et par le web. Pas de réponses. Pétitions et déclarations signées par des centaines de citoyens circulent sur le web. Entre 19/07 et 22/07/2011 : un navire de guerre chinois a sommé un bâtiment indien l’Airavat en visite au Vietnam de s’identifier et d’expliquer sa présence Mer d’Asie du Sud-est, à 45 miles nautiques au large des côtes vietnamiennes. 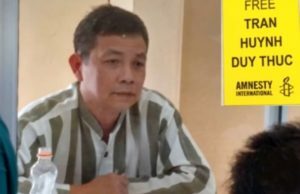 Pas de protestation des dirigeants vietnamiens. 04/08/2011 : La chaîne de télévision nationale VTV1 consacre 15 minutes du journal du soir pour calomnier les manifestants et les pages internet « réactionnaires ». Très nombreuses lettres de protestation de la part d’intellectuels célèbres et respectés qui se trouvaient parmi les manifestants. 14/08/2011 : Chalutier de M. Trần Hiền (Lý Sơn) capturé à Hoang sa avec 10 hommes d’équipage. Les militaires chinois ont cofisqué les prises de pêche, les équipements de navigation et de plongée avant de menacer les pêcheurs, établir un dossier sur chacun, et de les laisser repartir. Le rapport du17/06/2011 du commandement des gardes-côtes de Quảng Ngãi stipule que depuis le début du mois, 4 autres chalutiers de la province ont été capturés et pillés par la marine chinoise.(MM. 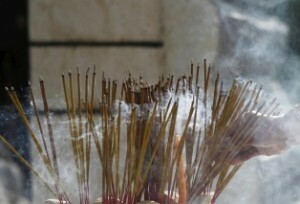 Phạm Hà, (Bình Châu), Huỳnh Công Nhiệm (An Hải – Lý Sơn), Lê Vinh (An Vĩnh), Võ Đào (Bình Châu). 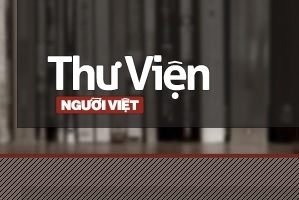 18/08/2011 : équipage Nguyen Van Thanh, 7 hommes, capturés, confiscation de l’ancre, de la pêche, plus de 100 millions de VND (3 553€) de dégâts et pertes ; libérés le 24/08 contre 6 250 US dollars payés par les familles à un intermédiaire au Vietnam même ! 21/08/2011 : Manifestation interdite par décret, non signé et illégal, émanant du Comité Populaire de la ville de Ha Noi. Grand déploiement policier, nouvelles arrestations, présence de char dans la rue. 09/09/2011 : la marine chinoise et la société de téléphonie « China Mobile » inaugurent un chantier d’édification de 8 bases de téléphonie mobile et 3 postes de communication satellite dans les îlots occupés des Spratleys. 10/09/2011 : l’Agence Chine Nouvelle annonce le départ d’un nouveau bâtiment de Hai Nan pour Trường Sa (Spratleys) afin d’« aider à l’exploitation piscicole dans la période à venir ». Actuellement la Chine compte jusqu’à 500 navires de pêche en activité permanente dans la zone. 23/09/2011 : Répondant à l’AFP, un leader de la compagnie pétrolière indienne ONGC Videsh Ltd déclare que sa compagnie « effectuera les forages d’exploration dans la zone choisie selon un calendrier conforme aux exigences techniques ». Cette déclaration fait suite à celle faite la veille par le porte -parole du Ministère des Affaires Etrangères chinois selon laquelle : « Toutes les activités d’exploitation de pétrole et de gaz de la part de sociétés étrangères sans autorisation des autorités chinoises sont illégales et sans valeur ». Le journal chinois « Global times » qualifie de « provocation politique » de la part du Vietnam cette invitation de coopération à la compagnie indienne. 24/09/2011 : Mr Trương Văn Đức et Mr Trương Tài en action de pêche avec deux chalutiers originaires de Binh Chau et Ly Son dans la zone de Hoang Sa sont surpris par la tempête. Lorsqu’ils cherchent abri dans l’île de Trụ Cẩu, ils essuient le feu des militaires chinois et sont pris en chasse 4 heures durant par leur marine de guerre. Tirs sur les chalutiers, heurts sur la coque, cabine brûlées par jet d’engins incendiaires, bombardement par canon à eau à bout portant. 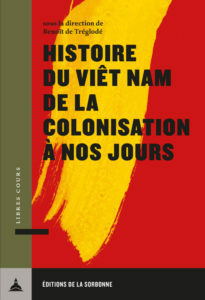 (rapport des garde-côtes de Sa Kỳ). 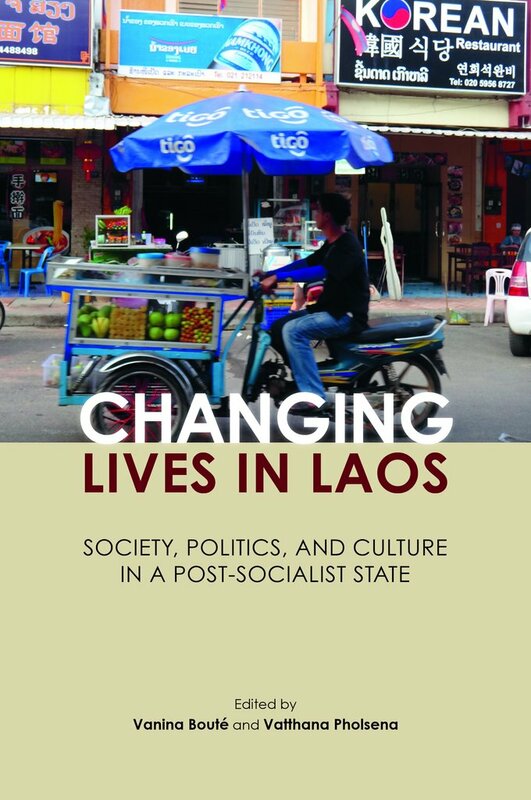 24/09/2011: L’association des paysans de la ville de Đà Nẵng annonce au journal Lao Động qu’au cours du mois dernier, au moins 5 chalutiers de 350 CV ont été vendus. Coût d’un de ces chalutiers : 2 milliards de VN dongs (environ 67000 euros). Chaque bateau fait vivre une centaine de personnes (sur terre et en mer). 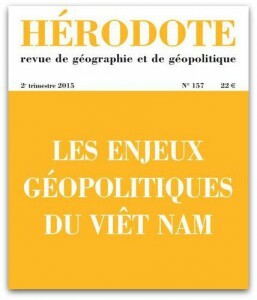 Le journal commente : « Ce phénomène traduit les difficultés pour les pêcheurs (du Centre Vietnam) de coller à la mer. Ils l’abandonnent… Pour le seul district de Thanh Khê (port de Đà Nẵng) sur les 124 bateaux au-dessus de 90CV qui vont pêcher au large, 60 ont déjà été vendus pour rejoindre d’autres provinces ». 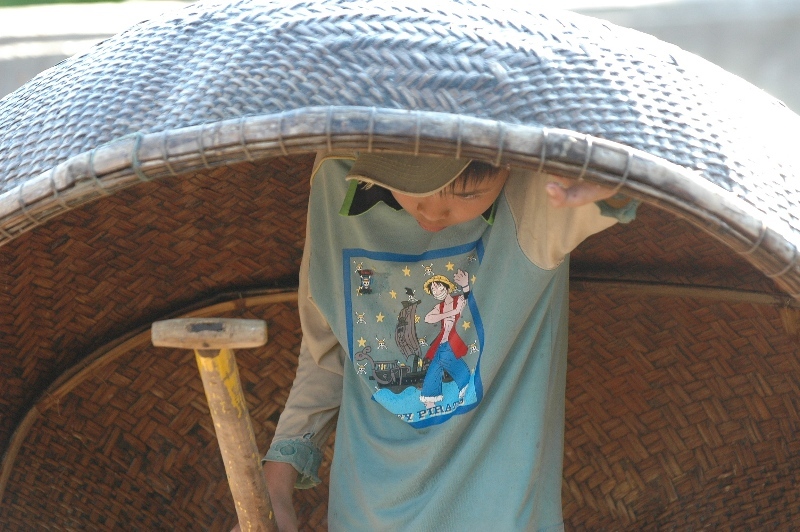 Dans le même temps, les chalutiers chinois se concentrent de plus en plus près des côtes du Centre Vietnam. 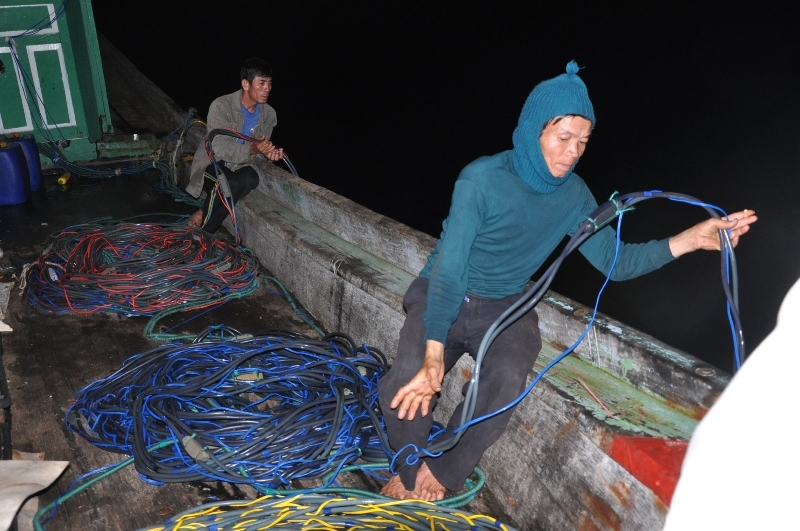 11/01/2012: Deux pêcheurs chinois à bord du navire Guifang 21558 qui dérivaient en raison d’une panne de moteur ont été secourus par des pêcheurs vietnamiens et ont été remorqués vers la ville de Hà Long avant d’être rapatriés en Chine. 22/01/2012: Chalutier GNg 90576TS confisqué. A 5 heures du matin, le chalutier QNg-90281 avec à son bord 11 pêcheurs du hameau Châu Thuận, village de Bình Châu, district de Bình Sơn a regagné le continent après avoir subi l’assaut d’un bâtiment « étranger ». Selon le patron du chalutier, M. Đặng Tằm, l’incident s’est produit à 15h le 22/02. 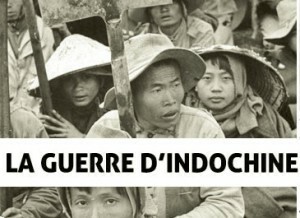 A ce moment-là, les 11 pêcheurs de ce chalutier pêchaient dans la zone de Hoàng Sa appartenant au Vietnam lorsqu’ils ont soudainement été pris en chasse, abordés et harcelés par un navire militaire « étranger ». 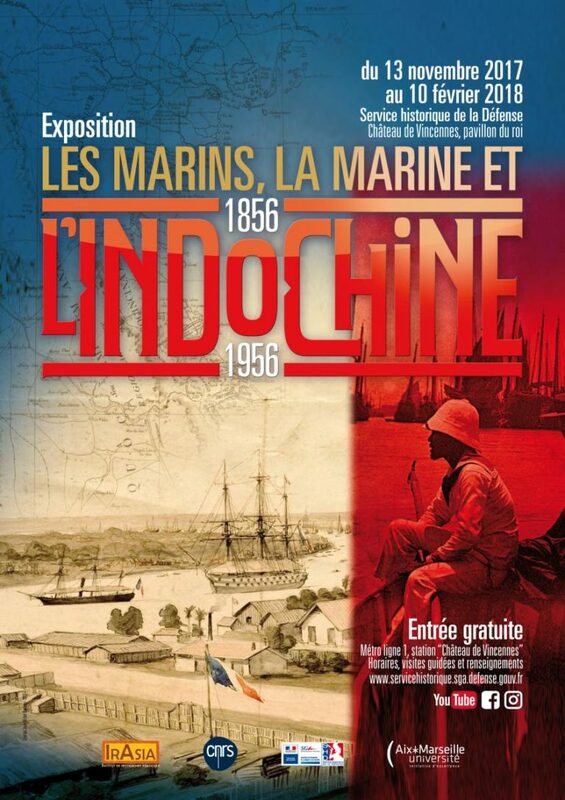 La marine chinoise contrôle totalement cette zone. « Les militaires ont utilisé leurs fusils pour nous pousser dans la cabine de pilotage. Ils ont utilisé des canons à eau de forte taille pour nous rassembler vers la proue, nous ont bandé les yeux et tabassé certains d’entre nous. J’estime à 500 millions de dongs les dégâts causés au chalutier. » Matériel de pêche détruit ou pillé. Tirs de balles incendiaires sur la cabine et sur la coque. 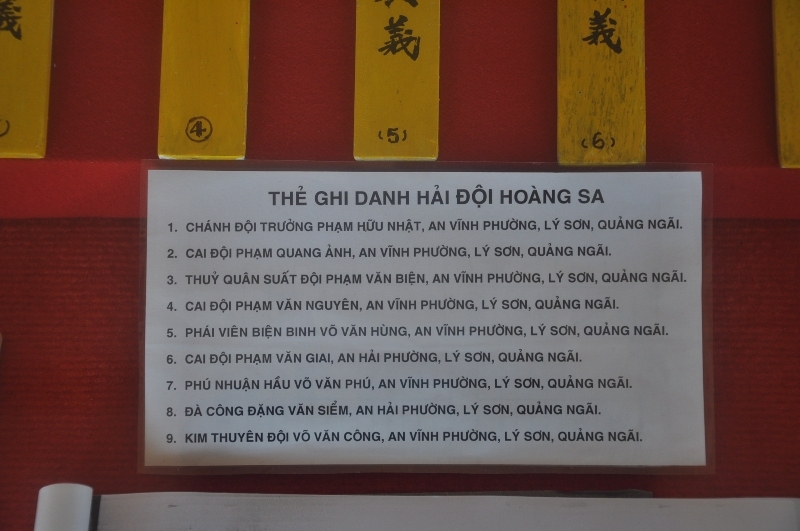 M. Tằm et ses dix hommes d’équipage ont été emprisonnés à Phú Lâm. C’est la deuxième fois en 2 ans. La première en mai 2010 : 70000 yuan de rançon pour sa libération et confiscation de tout son matériel, y compris le moteur. 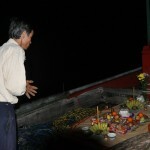 3/03/2012 : Deux chalutiers originaires d’An Hai, île de Ly Son, capturés par les Chinois à Hoang Sa. Celui de M. Trần Hiền (QNg-66074TS) et de M. Lê Vinh (QNg 66101 TS). Refusant de payer la rançon à l’invite des autotités vietnamiennes, les 21 hommes ont été détenus 49 jours sur l’ïle de Phu Lam, dans des conditions carcérales extrêmes. 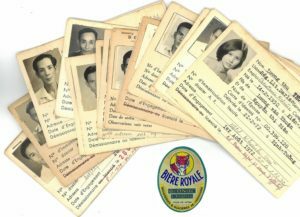 Ils sont rentrés à Ly Son sur le même chalutier le 22 avril. Le chalutier de M. Lê Vinh a été confisqué. 30/3/2012: 2 nouvelles agressions, pas de détails précis. 16/05/2012: Le chalutier QNg-50003 TS de M. Nguyễn Thành Nhất, hameau Châu Thuận, village de Bình Châu, district de Bình Sơn (Quang Ngai) a été capturé à Hoang sa avec 7 membres d’équipage. Un autre chalutier, (QNg-55003TS), celui de M. Trần Phương, originaire du même village, a été confisqué. Les deux équipages, 14 hommes en tout, sont rentrés au port sur le chalutier de M. Nguyễn Thành Nhất. 3 tonnes de poissons ont été confisquées, les tuyeaux de plongée ont été sectionnés, les appareils d’orientation volés ainsi que la sonde, les combinaisons de plongée…pour une valeur de 400 millions de dongs. 7/05/2012 : chalutier QNg 44867 TS confisqué. 7/06/2012 : chalutier QNg 94487 TS immobilisé 3 jours ; chalutier QNg 96845 TS immobilisé 3 jours ; chalutier QNg 94779 TS immobilisé 3 jours et chalutier QNg 94096 TS idem. 12/06/2012: QNg 90133 TS: prises de pêche confisquées et destruction du matériel de pêche et de navigation. 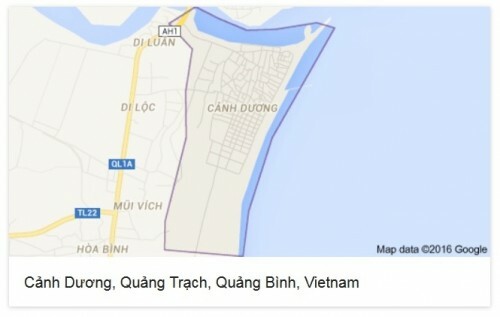 2/07/2012 : Six chalutiers de Sa Hùynh (village Phổ Thạnh Pho, district de Đức Phổ, province de Quang Ngai) capturés par les Chinois. 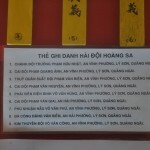 Les chalutiers de Nguyễn Duy Nam (QNg 94411TS) ; M. Nguyễn Duy Việt (QNg4487TS) ; Trần Minh Giữ (QNg 94484TS) ; M. Võ Quốc Việt (QNg 96845 TS) ; M. Lục Nghĩa Minh (QNg 94779TS) ; M. Lục Nghỉa Thành (QNg 94096TS). Les chalutiers QNg 94411TS et QNg 94779 TS ont été confisqués. Prises de pêche et matériel des autres chalutiers ont été confisqués. En tout 42 pêcheurs ont été concernés. 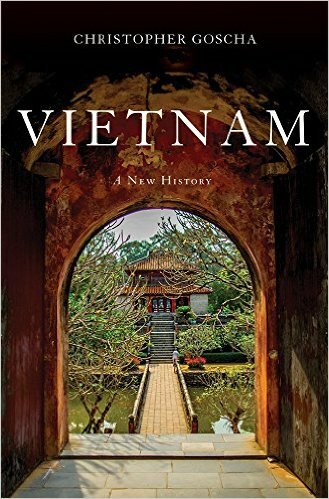 15/07/2012 : Une flotte de 30 chalutiers chinois partis de Hai Nan sont entrés dans la zone vietnamienne de l’archipel de Trường Sa . 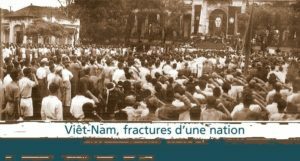 Protestation vietnamienne. 2013: Pas de détention MAIS…. 28/1/2013: Le Chalutier QNg 55535 TS pris sous le feu sous le feu du bâtiment chinois 787. 11/03/2013: Chalutier de M. Bùi Tấn Thành agressé. 11/03/2013: Chalutier QNg 966979 TS agressé par le bâtiment chinois 841. 13/03/2013: Chalutier QNg 96417 TS agressé par le bâtiment chinois 262. 13/03/2013: Chalutier QNg 96382 TS agressé par le bâtiment chinois 263. 16/03/2013: Chalutier QNg 50949 TS agressé . Destruction du matériel de pêche. Confiscation de la prise. 17/03/2013: Chalutier QNg 96399 TS pris en chasse par bâtiment et hélicoptère chinois. 20/03/2013 : Le chalutier QNg 96382 TS pris sous le feu des balles incendiaires et cabine détruite. 23/03/2013 :Le chalutier QNg 94590 TS est arraisonné. Destruction du matériel de pêche. Confiscation de la pêche . 20/05/2013: Le chalutier 90917 TS éperonné par 3 fois. 28/05/2013 : Le chalutier QNg 93768 TS immobilisé 4 heures. 7/07/2013 : Le chalutier QNg96787 TS est éperonné , les pêcheurs frappés. Le matériel et la pêche détruits ou confisqués. De même pour le chalutier QNg 90153 TS. 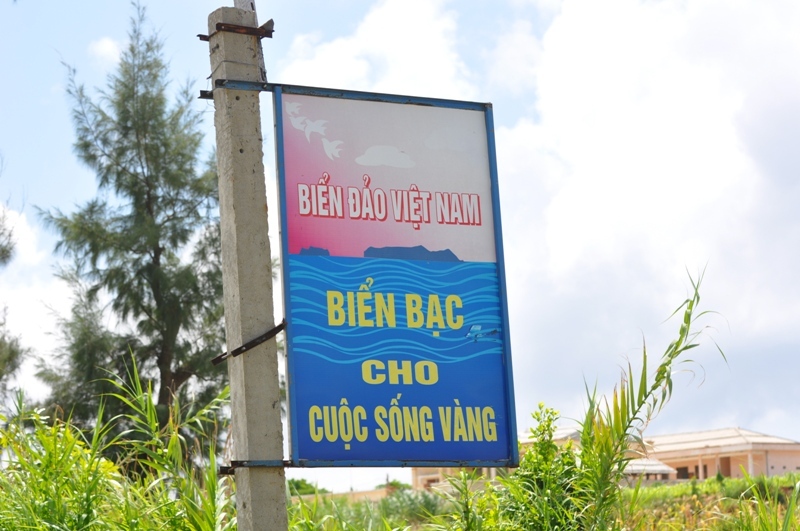 1/03/2014 : Le chalutier QNg 90479TS de M. Võ Văn Lựu originaire de Bình Châu, Quảng Ngãi, a été attaqué dans la zone de Hoàng Sa par un navire chinois ayant à son bord environ 35 hommes armés de fusils et de matraques type taser. M. Lựu et les 14 pêcheurs ont été frappés et blessés. Tous les équipements de plongée, d’orientation et de communication ainsi que les 5 tonnes de prise de pêche, poissons et homards, ont été pillés. 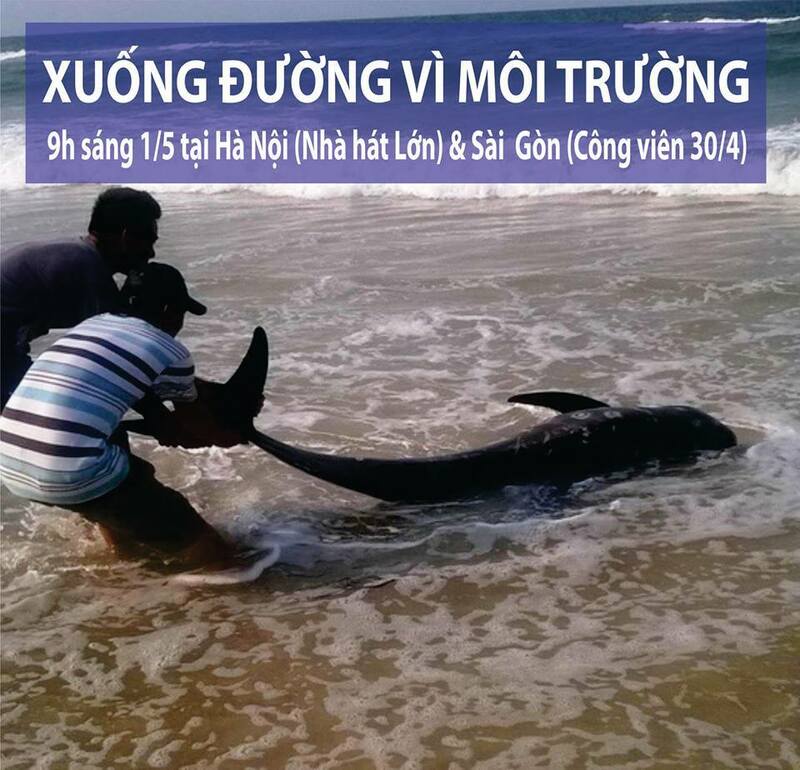 07/05/2014 : Alors qu ‘il pêchait près de l’île Colins (Hoàng Sa), le chalutier QNg 96416 TS de M. Nguyễn Lộc (Lý Sơn) avec 16 pêcheurs à son bord a subi de la part du bateau chinois N° 1241 des tirs de balles incendiaires, des jets de marteaux, de bouteilles, de boulons. Les câbles des instruments de communication et d’orientation ont été sectionnés à l’aide de faucilles. Il a ensuite été sévèrement éperonné par un autre bateau chinois. La coque enfoncée et la cabine en partie détruite. 16/05/2014 : Le chalutier QNg 90205TS dont le chef de bord est M. Nguyễn Văn Quang, originaire de Bình Sơn, avec à son bord 12 pêcheurs, a été attaqué par le bateau chinois de surveillance des pêches N° 306. Après avoir arraisonné le chalutier, les Chinois ont frappé les pêcheurs. Deux d’entre eux, MM. 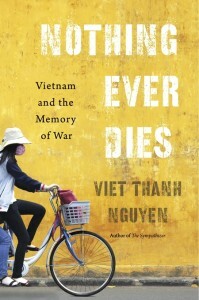 Nguyễn Huyền Lê Anh et Nguyễn Tấn Hải ont été grièvement blessés. 16/05/2014 : Le chalutier QNg 90045TS dont le chef de bord est M. Võ Bá Nha originaire de Bình Châu avec 9 pêcheurs a été surpris près de l’île de l’arbre, à 4 milles nautiques de l’île de Phú Lâm (Hoàng Sa), en pleine action de pêche en plongée. Il a dû fuir tous feux éteints pour échapper trois heures durant au bâtiment chinois de surveillance des pêches N°306 qui l’abordait et le bombardait de… pierres ! La cabine est en partie détruite mais il n’y a aucun blessé. 17/05/2014 : Le chalutier QNg 96011TS avec 13 pêcheurs à bord a été arraisonné par le bâtiment chinois N°21102 près de l’île Triton ( Hoàng Sa). Tout le matériel a été détruit. 26/05/2014 : Le chalutier ĐNa 90152TS originaire de Đà Nẵng avec 10 pêcheurs à bord été éperonné et coulé par le bâtiment chinois N° 11209. L’équipage a pu être sauvé par la police des mers vietnamienne. En Mai 2009 en même temps qu’elle dépose à l’O.N.U sa carte « langue de bœuf en 9 traits », prétention de souveraineté sur 80% de la mer du Sud-Est asiatique, la Chine interdit la pêche dans toute cette zone (voir carte ci-dessous) dont une grande partie empiète très largement sur la ZEE du Vietnam. (Zone Economique Exclusive selon la loi sur le droit à la mer de l’ONU, dite de Montego Bay 1982, dont la Chine est signataire). 1) Transformer la ZEE du Vietnam en zone contestée. 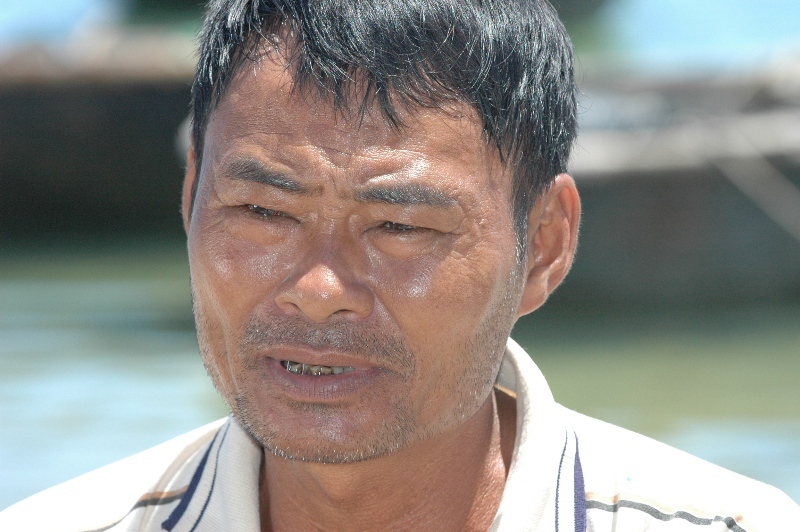 2) Terroriser les pêcheurs non protégés pour qu’ ils abandonnent ma mer et laissent le champ libre aux pêcheurs chinois. Dommages matériels subis par les pêcheurs (1 euro= environ 28000 dongs Vietnam. 1 euro= environ 8,2 yuan chinois (renminbi). Salaire moyen d’un pêcheur – plongeur qui se loue pour une pêche hauturière vers l’Archipel Hoang Sa : autour de 5 millions de dongs (un peu moins de 180 euros) par mois (deux sorties de 15 jours pour un petit chalutier de 90 cv, une sortie d’un mois pour un chalutier de 250cv). La somme peut aller jusqu’à 8 millions VND (Vietnam dongs) si la pêche a été très bonne et descendre en dessous de 5 millions VND si la pêche a été mauvaise car souvent l’équipage partage chance et malchance. Le prix d’un bateau de 90cv est d’un milliard VND, celui d’un 250cv est d’un milliard et demi VND. Pour un « patron » pêcheur, l’investissement pour un chalutier de 90CV qui va pêcher à Hoang Sa pour 15 jours de sortie est de 150 millions VND (carburant, salaires, vivres etc…). Pour un 250cv et un mois de mer la somme dépasse les 200 millions VND. La saison de pêche commence après le Tết (février solaire, nouvel an de l’année lunaire) et finit en septembre. Hors cette période les dangers de typhons violents sont plus fréquents. Il faut aussi préciser que de mi-mai au 1er août, donc en pleine saison de pêche, les Chinois ont unilatéralement décrété que la pêche était interdite « pour protéger l’environnement ». En fait, leurs propres chalutiers continuent de pêcher. Et quelquefois très près des côtes vietnamiennes. Pour les pêcheurs, les mois d’hiver se passent à terre à de petits boulots et à la maigre pêche côtière. Une journée à ramasser les algues marines sur la côte ou à trier et conditionner l’aïl (principale denrée agricole de l’île de Ly Son) rapporte de 30000 à 50000 VND. C’est essentiellement le travail des femmes et des enfants. En avril 2014, le tribunal des affaires maritimes de Shanghai a ordonné la confiscation d’un cargo japonais pour se dédommager d’une dette de guerre datant de 1936: Trente millions de dollars pour deux bateaux perdus. Les japonais ont payé. Combien de dizaines de milliards de dollars la Chine doit-elle au Vietnam pour l’emprunt forcé des Paracels pendant 40 ans, pour le manque à gagner économique que cela représente, pour les familles des militaires vietnamiens tués lors de l’annexion de l’archipel, pour les milliers de pêcheurs malmenés et interdits de pêche pendant ces dizaines d’années, pour les dizaines de pêcheurs tués, les dizaines de chalutiers coulés et confisqués, les centaines de rançons encaissées ? 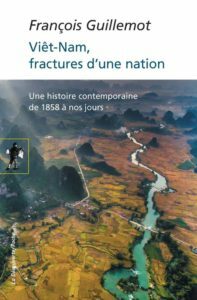 Si les dégâts de ce holdup monumental et ses conséquences devaient être seulement mesurés en termes d ‘argent un tel dédommagement boosterait l’économie du Vietnam pendant des années et sortirait de la misère des milliers de famille encore victimes de ces crimes. Pour les dirigeants chinois, la seule façon de sortir par le haut de cette tragédie de leur fait est à l’opposé de la voie qu’ils ont choisi d’imposer : il faut cesser immédiatement toute agression et incursion dans l’espace maritime et insulaire sous souveraineté vietnamienne et prendre ses dispositions pour rendre à César ce qui lui appartient : rendre Hoàng Sa au Vietnam. Toute autre voie ne peut être qu’éphémère et conduire la Chine et la paix dans une impasse douloureuse. Chronologie réalisée par André Menras arrêtée au 01/06/2014. Textes et photos de l’auteur, publiés avec son aimable autorisation.